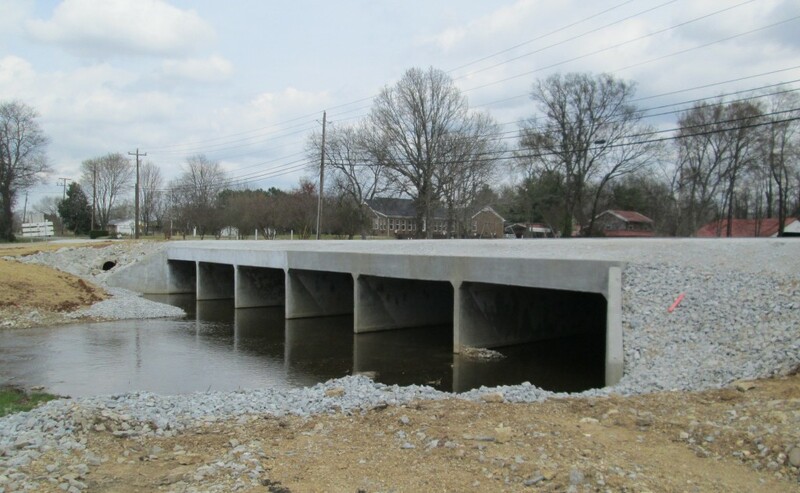 Box Culverts – Heavy Highway contractor Huntsville AL | Miller and Miller, Inc.
Miller & Miller Inc. performed construction of a Six Barrel 14’ x 7’ Reinforced Concrete Bridge Culvert. 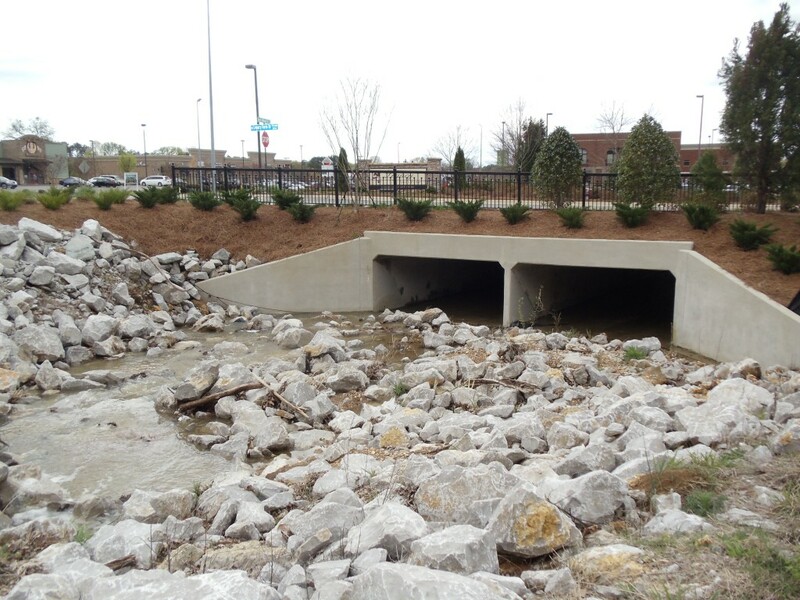 Miller & Miller utilized phased construction and appropriate Best Management Practices to minimize our impact on the species inhabiting French Mill Creek in Limestone County. Project Owner: G.W. Jones & Sons Real Estate Investment Co. Inc.
Miller & Miller Inc. performed construction of two Double Barrel 12 Ft Wide by 5 Ft. 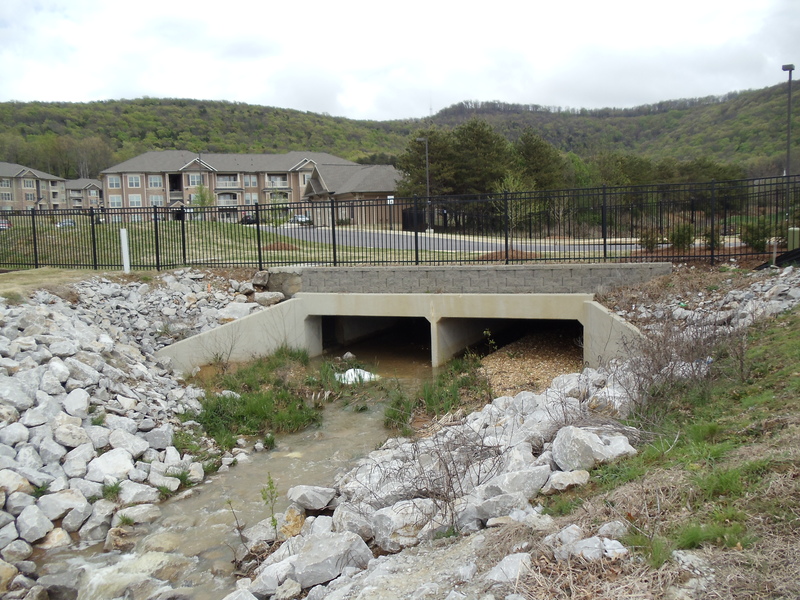 Tall Reinforced Concrete Box Culverts. 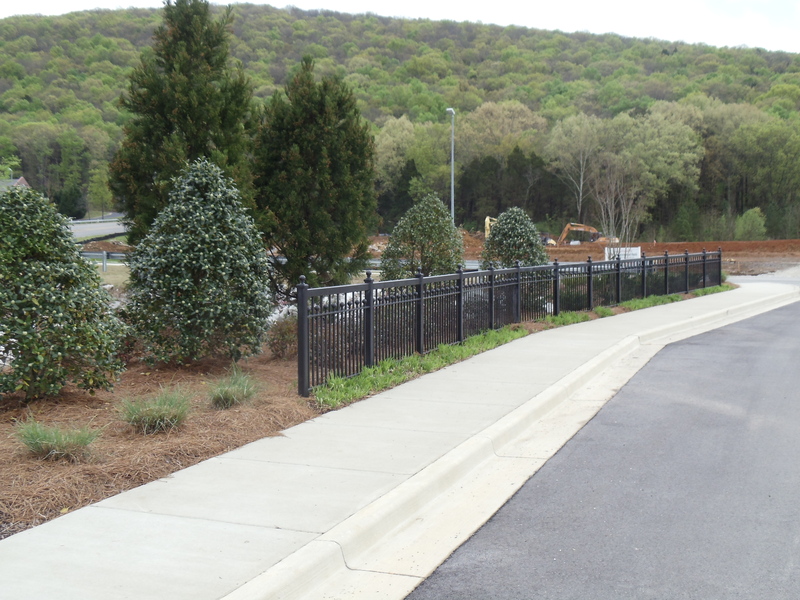 We were able to utilize our in-house fabrication shop to build and install decorative railings along the community sidewalks. Miller & Miller was a subcontractor to Harbaugh & Sons Construction in completing the site work for this development. Miller & Miller Inc. performed construction of a Triple Barrel 12 Ft Wide by 6 Ft. 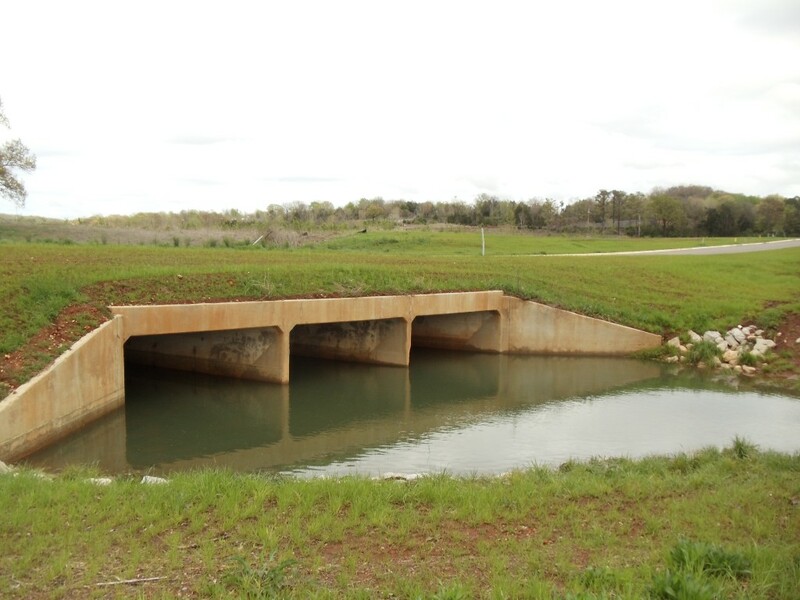 Tall Reinforced Concrete Box Culvert. 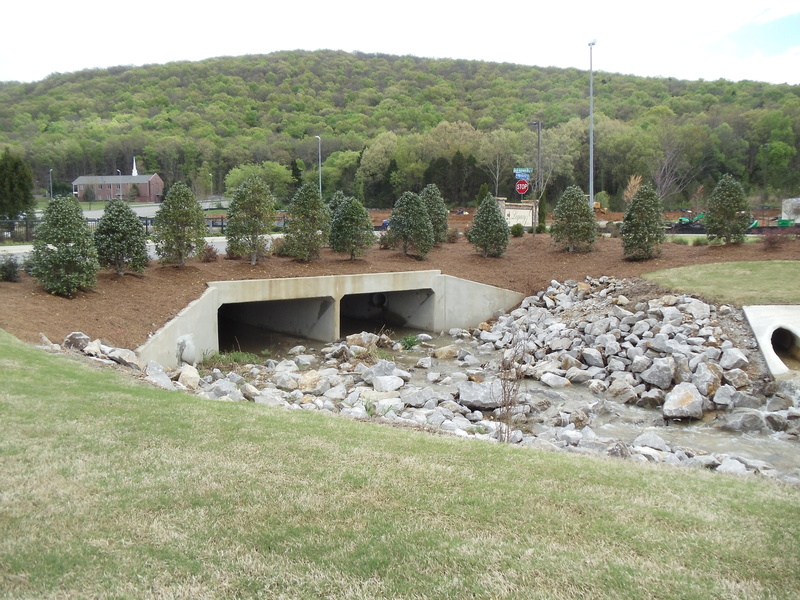 Miller & Miller was a subcontractor to Reed Contracting Services, Inc. in completing portions of the site work for one of the largest developments in North Alabama.